Wyllow Pet Hospital partnered with the Wisconsin Veterinary Medical Associate and Invisible Fence in Project Breathe - a program to equip community fire departments with oxygen masks designed to fit pets. Project Breathe was able to donate a 3 mask set to the Fox Lake Fire Department, and two 3 mask sets to the Beaver Dam Fire Department. These masks will be used to help resuscitate pets affected by smoke inhalation at fire scenes. Left: Jeff Remy of Invisible Fence presents Beaver Dam Fire Chief Alan Mannel (right) with a three-piece mask set for Project Breathe. Canine officers Paige (right) and Ziva (left) being sworn in. Dr. Vicky Smith from Wyllow Pet Hospital with Chad Enright of the Dodge County Sheriff's Department and Officer Paige. 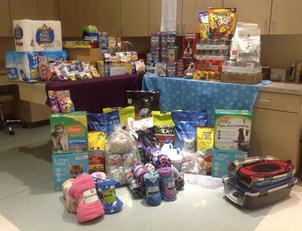 We are able to collect a large assortment of needed items for the Dodge County Humane Society. We thank everyone that able to donate! We will definitely be doing this for years to come! Thanks again! This noncompetitive walk is an event for you and your dogs to raise funds and awareness for the American Cancer Society's cancer fight! So bring your canine friend for a nice walk and a fun-filled day of demonstrations, contests, and games. 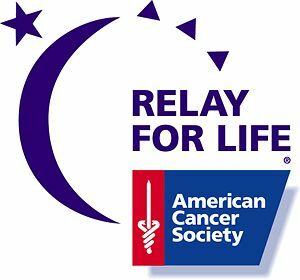 When you support Bark for Life, you are helping the American Cancer Society save lives and move even closer to a world with less cancer and more birthdays! 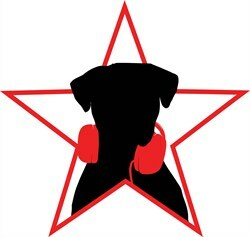 Throughout the day there will be lure coursing, a bake sale, food sales, merchandise sales and much more! Friendly dogs of all breeds are welcome! The bash will go on rain or shine! 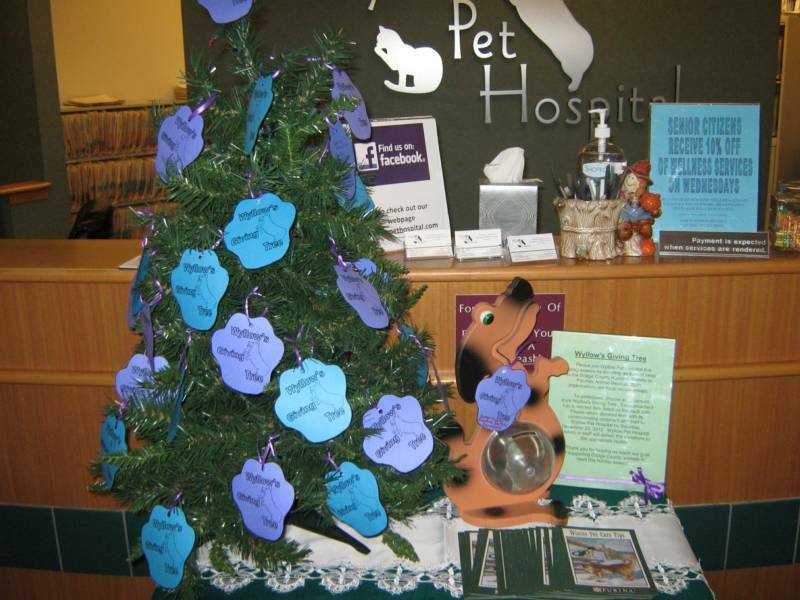 Wyllow's Giving Tree with many possible items to be donated. Two canine officers for the Dodge County Sheriff's Department get sworn in during the Dodge Country Fair. Wyllow Pet Hospital is donating veterinary services for the duration of Paige's term of service for Dodge County. These are the 2016 Wyllow's Giving Tree donations! It was definitely one of the best turnouts so far! 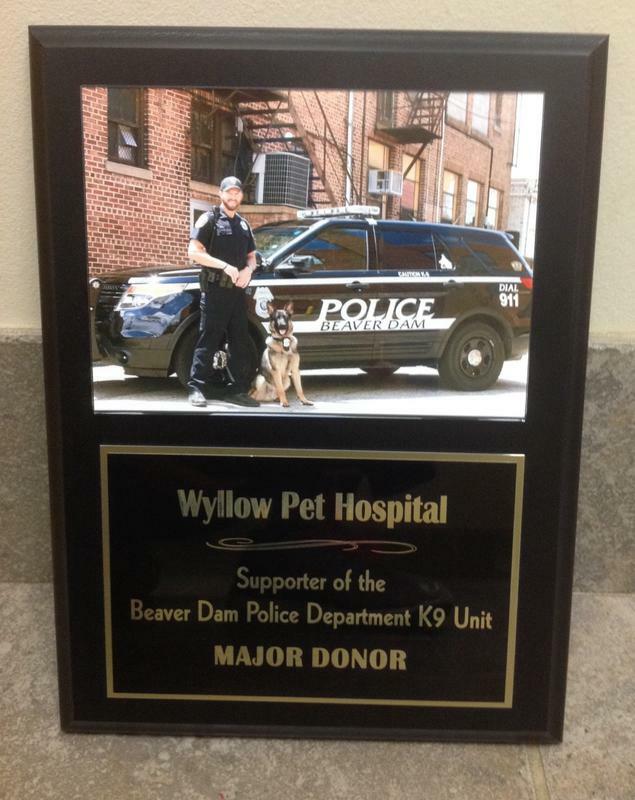 We are very pleased to be one of Beaver Dam Police Department's major donors for their K9 Unit. Being able to provide medical care for our local Canine Officers brings us great joy and we enjoy seeing each and every one of them for their exams and check-ups!